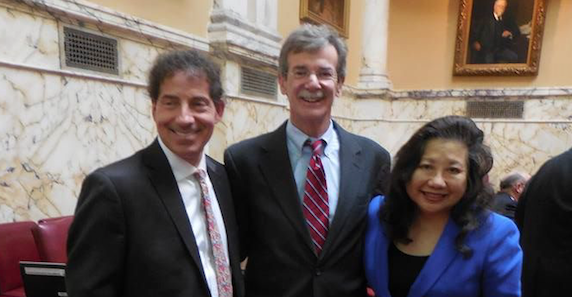 United States Congressman Jamie Raskin and Maryland Attorney General Brian Frosh have endorsed the re-election of Maryland State Senator Susan Lee (District 16). 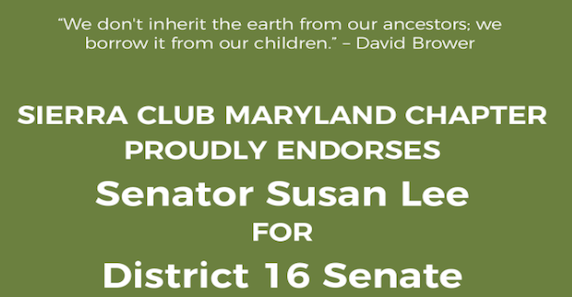 “I enthusiastically support Susan Lee for reelection to the Maryland State Senate. She is a tireless advocate for our community and experienced and effective legislator,” said Attorney General Frosh. 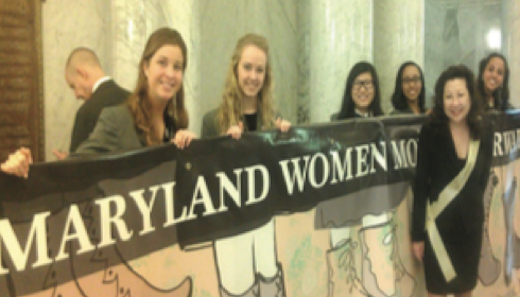 Senator Susan Lee, an attorney, was elected to the Maryland State Senate in November 2014 after serving 13 years in the Maryland House of Delegates and was the Senate Lead Sponsor of the Maryland Equal Pay for Equal Work Act. 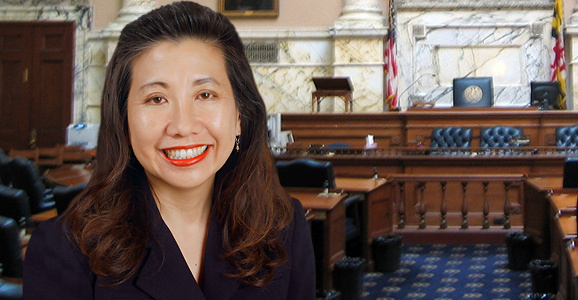 She is the first Asian American senator elected to the Maryland Senate. Senator Lee is the Deputy Majority Whip in the Senate; a Member of the Senate Judicial Proceedings Committee and Joint Committee on Cybersecurity, Information Technology and Biotechnology, Safe Harbor Youth Victims of Human Trafficking Workgroup, and Governor’s Family Violence Council; Co-Chair of the Maryland Cybersecurity Council Subcommittee on Law, Policy & Legislation; Chair of the Maryland Legislative Asian American and Pacific Islander Caucus; President Emeritus of the Women Legislators of the Maryland General Assembly (Women’s Legislative Caucus); and former Co-Chair of Identity Theft and Nanobiotechnology Task Forces. Allow over 700,000 Marylanders to Earn Sick Leave and Overrode Governor’s veto of this law. Susan is the daughter of a World War II veteran of the US Navy and retired Washington Post artist, and a proud product of the Montgomery County public schools, Leland Junior High School, Herbert Hoover Junior High and Winston Churchill High School. She graduated from the University of Maryland, College Park and University of San Francisco School of Law. Susan was a member of the Western Montgomery County Citizens Advisory Board, Jewish Foundation for Group Homes Board, Montgomery County Gang Task Force, and Progressive Maryland, as well as Co-Chair of the NAACP Multicultural Community Partnership. She was appointed to serve on the United States Patent and Trademark Advisory Board during the Clinton Administration. Susan represents District 16, which includes Bethesda, Chevy Chase, Friendship Heights, Potomac, Rockville, Cabin John, and Glen Echo. She and her husband live in Bethesda. The recent tragedy at a Parkland, Florida high school has created fear, anxiety and confusion among students, parents, educators and law enforcement. Instead of waiting for the Federal government to act, the Maryland General Assembly moved forward to pass significant legislation to fight gun violence. 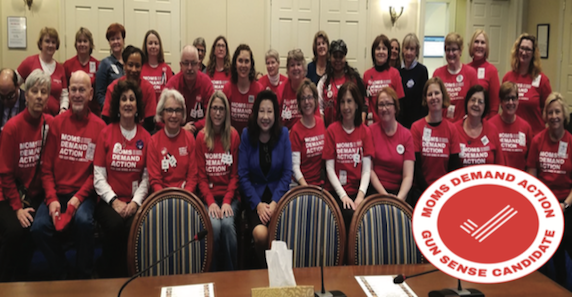 Following on the heels of the 2013 Maryland Firearm Safety Act, one of the strongest gun safety laws in the nation, we passed laws to ban the use and ownership of bump stocks and other rapid fire devices that can be turned into machine gun type devices; a law to enable family members and roommates to apply for an Extreme Risk Protection Order to allow a court to order the surrender of firearms if the judge finds that a person poses an imminent threat to himself/herself or others; and a law to create a process in which firearms held by a domestic abuser, who is not allowed to possess firearms, to surrender them. For her leadership, Senator Lee has been endorsed by as a “Gun Sense Candidate” by Moms Demand Action. Senator Susan Lee, a civil rights attorney, was elected to the Maryland Senate in 2014 after serving 13 years in the House. She is a Deputy Majority Whip and a Member of the Senate Judicial Proceedings Committee; Co-Chair of the Maryland Cybersecurity Council Subcommittee on Law, Policy & Legislation; and Member of the Safe Harbor Youth Victims of Human Trafficking Workgroup and Governor’s Family Violence Council. As a former President of the Women’s Legislative Caucus and Co-Chair of the Identity Theft Task Force and Nanobiotechnology Task Force, Susan helped pass laws to fight domestic violence, sexual assault, human trafficking, elder and child abuse, home invasions, cyber-crimes, identity theft and to advance education, telehealth, bioscience and IT. Senator Susan Lee, a civil rights attorney, was elected to the Maryland Senate in 2014 after serving 13 years in the House. She is a Deputy Majority Whip and a Member of the Senate Judicial Proceedings Committee; Co-Chair of the Maryland Cybersecurity Council Subcommittee on Law, Policy & Legislation; and Member of the Safe Harbor Youth Victims of Human Trafficking Workgroup and Governor’s Family Violence Council. As a former President of the Women’s Legislative Caucus and Co-Chair of the Identity Theft Task Force and Nanobiotechnology Task Force, Susan helped pass laws to fight domestic violence, sexual assault, human trafficking, elder and child abuse, home invasions, cyber- crimes, identity theft and to advance education, telehealth, bioscience and IT. Domestic Violence and Human Trafficking: The General Assembly passed her bill to allow law enforcement to arrest an accused domestic abuser or violent criminal who violates a stay away pretrial order, thereby saving lives at the most volatile period for a domestic violence victim; and her bill allowing domestic violence and human trafficking victims to shield their new addresses when recording real property deeds to enable them to escape their abusers, to recover and rebuild their lives. This legislation is the result of years of efforts with victims’ services groups and government entities. Terminating the Parental Rights of Rapists and Effectively Prosecuting Sexual Assaults: The legislature finally passed a law to terminate the parental rights of rapists; and to allow a finder of fact to consider evidence of other sexual assault accusations to rebut a defense of consent. Both of these perennial issues can finally be laid to rest. Fighting Sexual Harassment: In the wake of the #MeToo movement, the legislature created a Workplace Harassment Commission to evaluate and address sexual harassment policies in the legislature and provide for independent investigators; and also passed a bill to prohibit contract provisions requiring a waiver of due process rights in a sexual harassment complaint. Women’s Reproductive Rights: The legislature passed her bill to require correctional facilities to provide adequate menstrual hygiene products for female inmates, which will ensure they are provided with basic essentials and afforded fundamental human dignity despite their past transgressions. Identity Theft and Cybersecurity: Senator Lee was the Senate lead sponsor of legislation to require credit reporting companies, which hold consumers’ sensitive personal data without their authorization, to provide free of charge the freezing or thawing of their credit reports. This is a critical tool consumers can use to proactively prevent identity theft, particularly in light of the recent Equifax and Yahoo large-scale data breaches. The legislature also passed laws to expand Maryland’s Cybersecurity Tax Credit and create a Cybersecurity Public Service Scholarship Program. As the Co-Chair of the Maryland Cybersecurity Council Subcommittee on Law, Policy & Legislation, Senator Lee will continue her work on legislation to fight ransomware, anti-net neutrality policies, and catastrophic cyberattacks, and to make Maryland the Epicenter of cyber innovation and jobs. Protecting Elections from Outside Interference: To prevent foreign intrusions of or interferences with our elections, the legislature passed laws to require the State Board of Elections to report to the Department of Information Technology any cyberattacks and to notify officials of potential breaches; and to require social media websites like Facebook to report to the State Board of Elections the names of purchasers of social media ads and the amounts paid. Montgomery County is Maryland's most populous jurisdiction and its most affluent. The County is located adjacent to the nation's capital. See District 16 map.